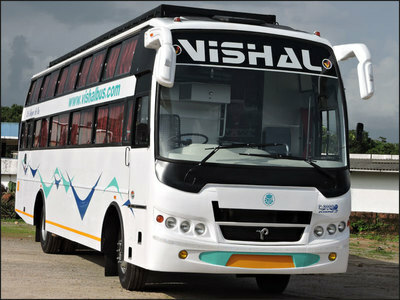 Vishal tourists provides on time schedule, safe, pleasant and reasonable comfort travel to thousands of passengers. we believe in customer satisfaction and quality service with well maintained coaches with latest seating provisions. vishal tourists is dedicated towards client satisfaction and quality service. 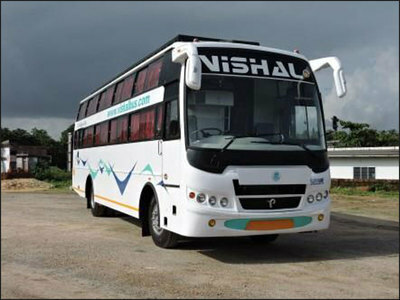 vishal tourists is well known for its regularity and on-time performance. 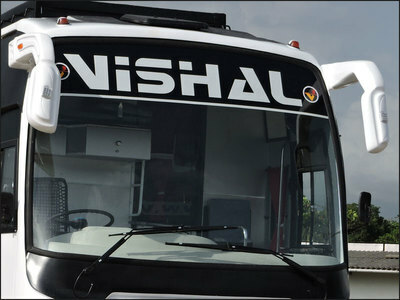 vishal tourists has established itself as a front runner in the travel industry and market leader in karnataka in private tourist operator segment. 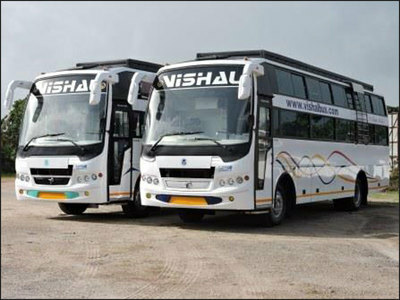 be it the management, the fleet, the ground staff or the bus crew our focus is on performance and customer satisfaction. 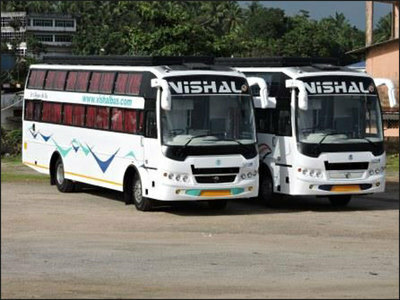 every vishal tourists employee is friendly, proficient and well-informed ensuring that their interaction will make the passengers feel welcomed and looked after. well trained drivers will make sure the journey is safe and relaxed. 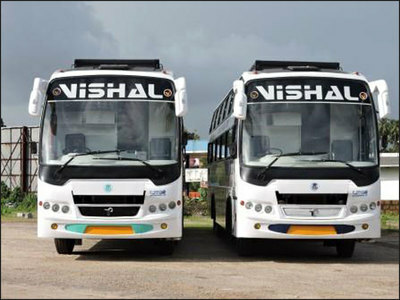 Vishal Tourist is a renowned brand in the bus operating industry. Our vision is to give a new face to the bus industry. Since our inception passenger comfort was our top priority. We have frequently added luxury buses to our huge fleet of buses. The only thing we focus on is that the comfort quotient of our passengers should never be compromised. We have always tried our best to push our limits in order to develop our travel experience. Read further to understand what we offer that enhances our reputation in the market. 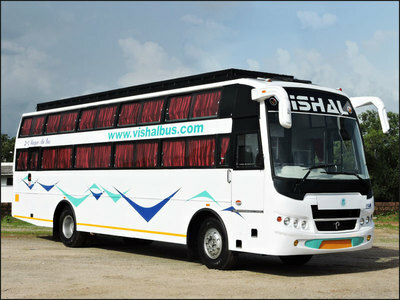 We at Vishal Tourist strive to maintain the most reasonable rates in the market. This also makes our passengers happy and thus we further give them discount offers on a regular basis to enhance their happiness. I had booked tickets for me and my grandparents with Vishal Tourist from Mangalore. The travel experience was great, my grandparents were not fatigued and they also helped us reach on-time. 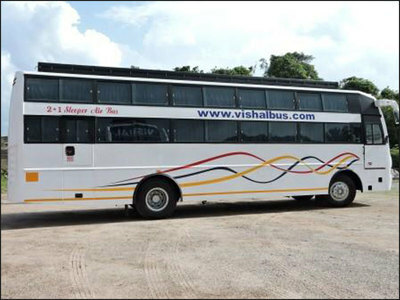 I had the best bus journey of my life with Vishal Tourist. To start from, their online portal was very user-friendly. Next, it was the first time that I had seen the bus start at the designated time. When I got into the bus, the comfort that I felt was unmatchable. From the window of my seat I could see bumpy roads but could not feel them much. They also dropped me 15 mins prior to the designated time. So all-in-all it was a perfect journey with nothing to complain about. I was travelling with a huge gang of friends from Karkala to Bangalore with Vishal Tourist. We were really skeptic about the comfort of the bus. To our surprise the journey turned out to be very comfortable and we also enjoyed a lot. The staff on the bus was quite amiable and they came up with great suggestions for our trip. 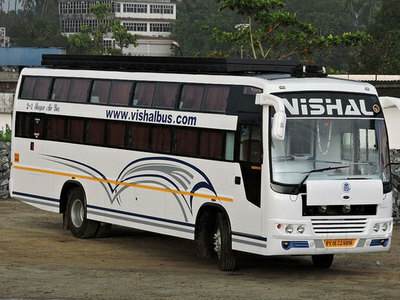 I recently travelled from Manipal with Vishal Tourist. It was a sleeper bus and I felt the bus was very comfortable and the staff was very friendly and co-operative. Great going Vishal Tourist keep it up. Book and get '20%' discount per seat.